Generally, when a tree is removed, the stump remains (unless you use TRC). Stumps are unsightly and can be dangerous to kids and adults alike. Stump removal is one of the many things we specialize in and can do the job quickly and cost effectively. We understand that any tree service can be expensive and the budget isn’t always there to have every stump takien out all at once. We are more than happy to work with you and grind the stomps as the budget allows. We will always be upfront about cost and expectations so you will never be surprised at the end with a hefty bill. Our removal experts are able to provide spot on quotes in advance that will ensure you know exactly what to expect. Also, keep in mind no job is too small or too big for us. We will clear one stump or removal every stump from your land for you. Why Chose Tree Removal Charleston For Your Stump Grinding? We believe the answer to this question is simple. Here at Tree Removal Charleston our word is our bond. If we say we are going to do something, you can take it to the bank that it will get done. 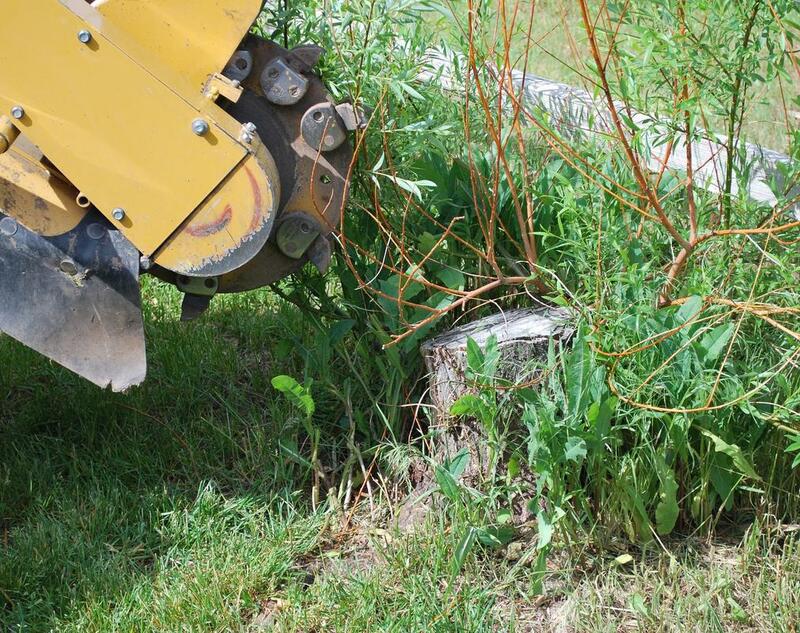 With decades of experience in the industry, our specialists have more than enough expertise and know-how when it comes to removing tree stumps. We have the top of the line equipment that ensures we get the job done right the first time and in time at all. We know your time is valuable so we pride ourselves on getting the job done before you even know it. We are more than happy to work around you schedule and do whatever we can to be flexible for you. Our service is unrivaled and you will not be disappointed with your decision to use TRC. What Is the Process of Having a Stump Removed? Well the first step is giving us a call or filling out a contact form. Once you reach out to us and give us some details about the job, one of our stump grinding specialists with give you a call and set up a time to come out and give you an accurate estimate. Sometimes we are able to provide an estimate through email with proper pictures of the stumps, but we always recommend an in-person assessment to ensure accuracy. If the quote is acceptable, we will then set up a time to come out and do the job. The good thing is, generally, you don’t have to be there in order for us to get the job done, but we do recommend that you or someone over the age of 18 be available. The job is not complete until you are satisfied and we will make sure you are before we leave. That’s it. We try to be as straight forward as possible and get the job done with as little inconvenience to you as possible. Have stumps to grind? Don’t wait another day and give us a call today!